Jerantut is for most tourists the gateway to Taman Negara. People get off the bus or out off the train to visit the National Park of Malaysia. From this point it's still 18 kilometers by bus to the ferry terminal in Kuala Tembeling. That's the place where the departure is for the boats to Taman Negara. The train has two classes: Berth or Seater. When you buy a ticket for a �sleeper�, you get a small bed � a �berth�� instead of a seat. It�s a really nice way to travel, especially late at night. 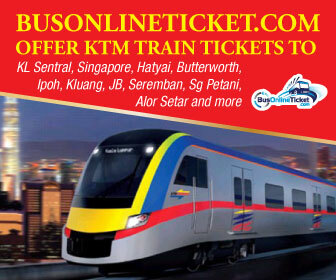 The fare from Jerantut to Tumpat is from RM28,- to RM 40,-. It's very special to wake up and the train is in the deep jungle. Everything is so green. See for the jungletrain the special site: jungletrain! Without venturing into the National Park, you can stay in for example in the Jerantut Hill Resort (see the picture below) and go caving, fresh water fishing, waterfall hunting, white water, bamboo rafting or even some social golf! For travelers who want to take in the sights and sounds of Jerantut, Jerantut Hill Resort is the perfect choice. From here, guests can enjoy easy access to all that the lively city has to offer. Visitors to the hotel can take pleasure in touring the city's top attractions: Kota Gelanggi Caves. 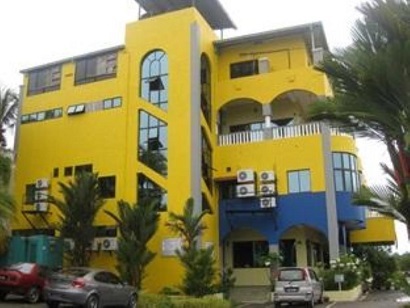 Take advantage of a wealth of unrivaled services and amenities at this Jerantut hotel. The hotel provides free Wi-Fi in all rooms, 24-hour security, 24-hour front desk, Wi-Fi in public areas, car park to ensure our guests the greatest comfort. Jerantut Hill Resort is home to 61 bedrooms. All are tastefully furnished and many even provide such comforts as television LCD/plasma screen, internet access � wireless, internet access � wireless (complimentary), air conditioning, desk. Whether you're a fitness enthusiast or are just looking for a way to unwind after a hard day, you will be entertained by top-class recreational facilities such as outdoor pool, spa, massage, karaoke. Superb facilities and an excellent location make the Jerantut Hill Resort the perfect base from which to enjoy your stay in Jerantut.